We’ve been teaching people to surf since 2003 and have more than 20 years’ surfing experience. Experience we want to share with you so that you can learn in the safest and most fun way. We have our own special channels marked with buoys, where you can surf all year long, faraway from swimmers and boats. Join a surfing course and take home a unique, unforgettable experience. Thanks to experienced team of instructors, you’ll feel safe and confident learning to surf at our school. The Escola Catalana de Surf is accredited by the Spanish surfing federation (FES) and the ISA and is also an official Quiksilver school. Thanks to the shallow water and the long ride, the waves off the beaches of Castelldefels and Sitges are ideal for learning to surf. Only you and your board. The school has a special channel marked with buoys and this means you can surf without hassle, faraway from swimmers and boats. At the school’s Sea Salt Surf restaurant, you can relax with a drink or enjoy the set menu for sports people to recover your strength. We are close to Barcelona but far enough away to avoid the crowds. When you finish your surfing lesson you can get lost in Sitges’ charming streets or take a walk along the seafront in Castelldefels. Instructors qualified in different forms of surfing, first aid and lifesaving. And their love for the sport is contagious. 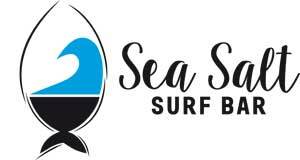 Sign up for one of our surf courses using our on-line registration form. Our facilities include a restaurant on the beach. The ideal place to disconnect after a long day of sport. Combat dehydration with a glass of delicious natural fruit juice and recover your strength with our balanced menu specially designed for athletes. All with great views of the sea. The restaurant also has a terrace where friends and family can wait in comfort during lessons. We’re looking forward to seeing you... join the fun! Come and see us whenever you like if you need more information.